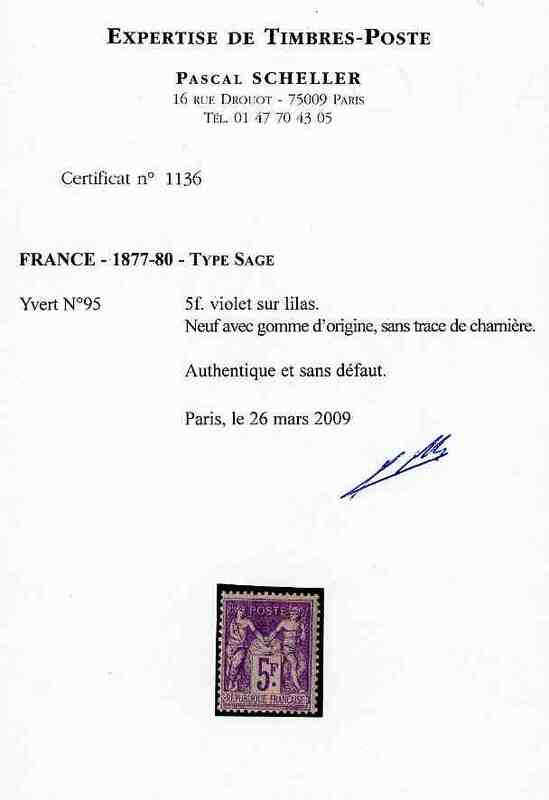 France, 1877, Sage issue, 5 f violet, MINT NEVER HINGED ORIGINAL GUM, very fresh and extremely fine. 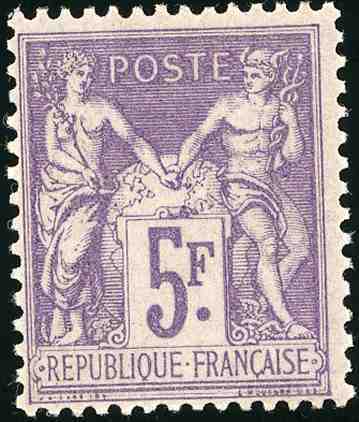 A rare stamp in this exceptional condition. Yvert 95 = 600 EUR (2009 for hinged), our estimate for ** = 1200 EUR.